Four models will feature the MIPS technology come fall 2014, including the Feature (pictured). 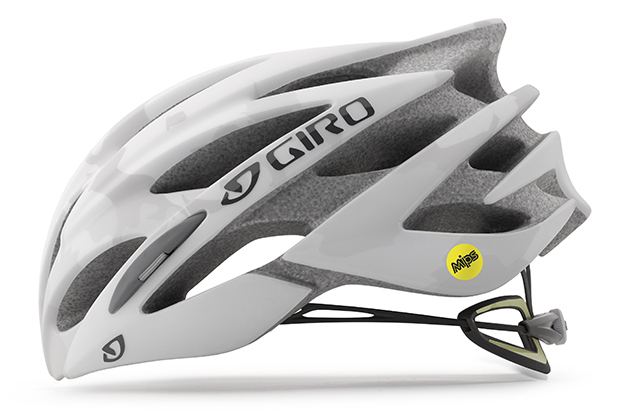 Giro Sport Designs has announced a new partnership with MIPS Technologies. 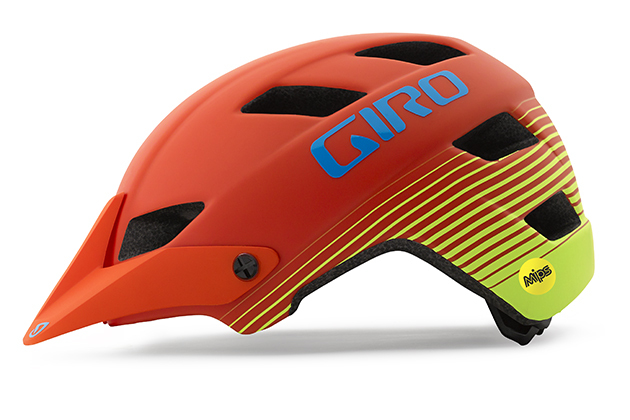 After years of collaboration researching and validating new technologies to further reduce impact energy, Giro will be introducing new helmets in three categories: road, mountain and urban. MIPS (Multidirectional Impact Protection System) will be found on the Sutton, Feature, Savant and Sonnet models, and will be available worldwide in late fall 2014. "For several years we have collaborated with MIPS to validate and explore ways to further reduce rotational impact energy. We feel that this slip-plane technology can offer reduced rotational impact energy transmission in certain impacts,” said Giro Executive Vice President Greg Shapleigh. 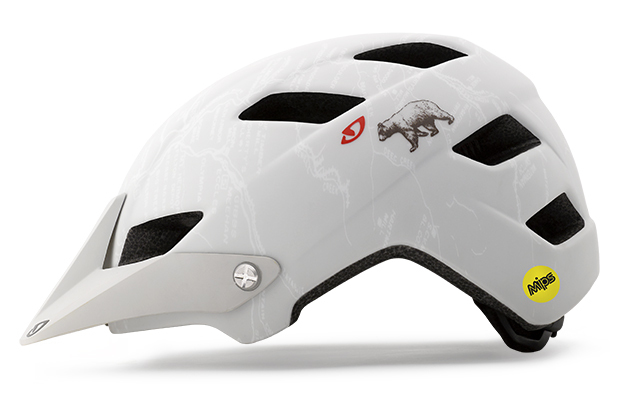 “That's why we're pleased to introduce MIPS-equipped versions of helmets for the urban, mountain bike, and road markets." "With their extensive experience and depth of resources, Giro brings a unique understanding of our technology," said MIPS founder and CEO Johan Thiel. "MIPS grew directly out of research and the possibility of partnering with a manufacturer that uses active research to drive their helmet design is a great opportunity." 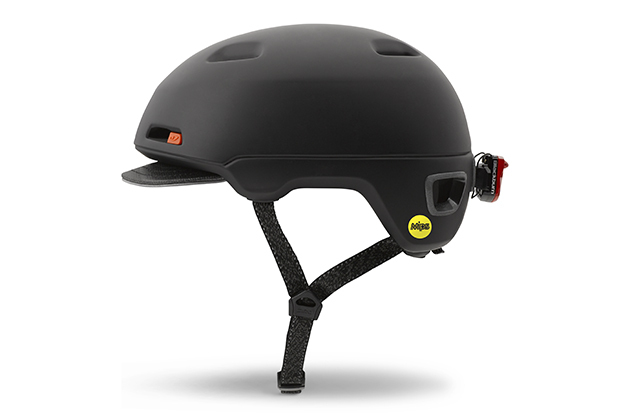 There are three main components to a MIPS-equipped helmet: the EPS liner, the Low Friction Liner and an elastomeric attachment system between them. In an impact, the elastomeric attachment system stretches to allow the EPS liner to rotate independently around the rider's head. Although the system only moves a few millimeters, Giro believes that helmets equipped with this technology can reduce the amount of rotational force that may be transferred to rider's brain in certain impacts. The Feature delivers a low-profile shape that reportedly provides more coverage than traditional XC helmets. The channeled vents are designed to radiate heat up and out when you're climbing at lower speeds. A single-piece, in-mold shell reportedly increases durability, yet keeps weight to a minimum. It also features a one-handed fit and stability adjustment system, as well. This model comes in a women’s specific model too, the Feather. The Savant comes with 25 vents to keep the head cool, while utilizing a Giro specific adjustable system to keep the helmet secure and comfortable. As with the Feature model, it has an in-mold shell that is said to increase durability, while keeping weight to a minimum. The helmet also comes in a women’s specific model, the Sonnet. The Sutton is a low-profile design loaded with features including a detachable/integrated light clip, a soft leather visor and reinforced vents that double as Lock Ports.